This post has been a long time coming hasn't it? FORGIVE ME, I've been too busy to photograph swatches and things ok! So, if you remember back in January I showed you a Boxing Day Sales Haul which included the one and only Naked Smoky palette. Since then, I've barely been able to put it down and can safely say it's the most worthwhile money I've ever spent on a palette. For a palette that is catered to a smoky eye, UD hit the nail on the head with this one as all the shadows are super wearable. For instance, I'm not too fond of a really bold smoky eye, so I use the black shade to deepen my eyeliner or place it below my waterline in place of a Kohl pencil. 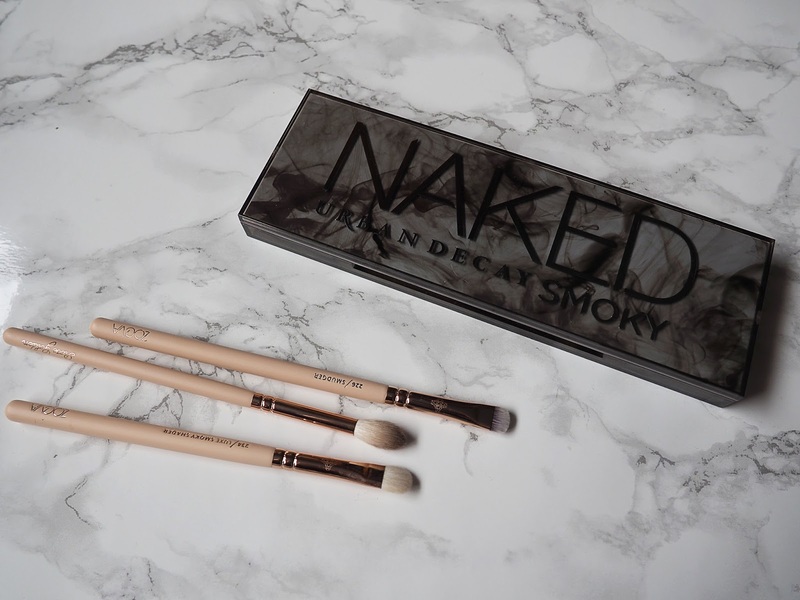 Each shadow is easy to blend and you don't have to use this palette purely for smoky eyes. As it consists of a few neutral shades, you can make a variety of looks that aren't too in your face, (dark eyeshadows intimidate me too). 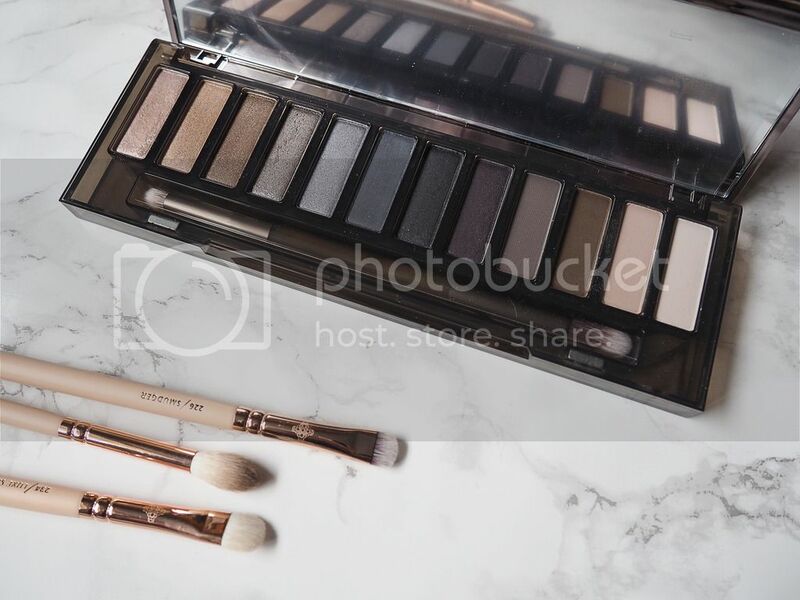 Some people prefer matte shadows, some prefer shimmers but I personally like a palette that contains a mixture which is exactly what the Naked Smoky has. You've got your shimmers, mattes and satins all in one place, what more could a make up addict ask for? Let's just ignore the spot that decided to pop up in time for my swatch pictures. This is by far my favourite section of the Naked Smoky. I'm a sucker for shimmery eyeshadows, I gotta have that shimmer in my life. If you saw my vast collection of highlights you'd understand my need. 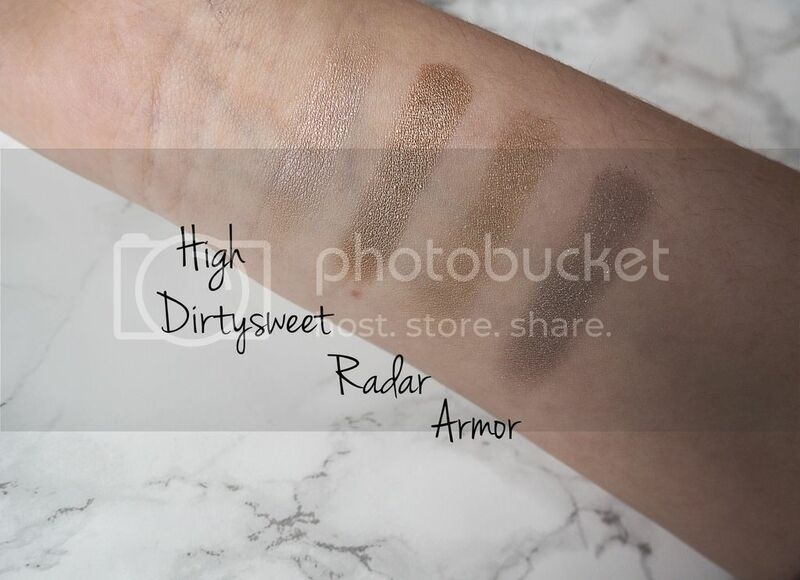 High and Dirtysweet are without a doubt the most used shadows in this palette which I use to make a simple little rose gold/copper eye... How stereotypical of me. Unfortunately I'm not too keen on Armor as I find it quite tricky to work with. It's perfect to add a bit of sparkle to a bold, smoky eye but I don't find I get much use out of it. Now we get onto the more intimidating part of the palette, the ones that are used for the real deep smoky eye. 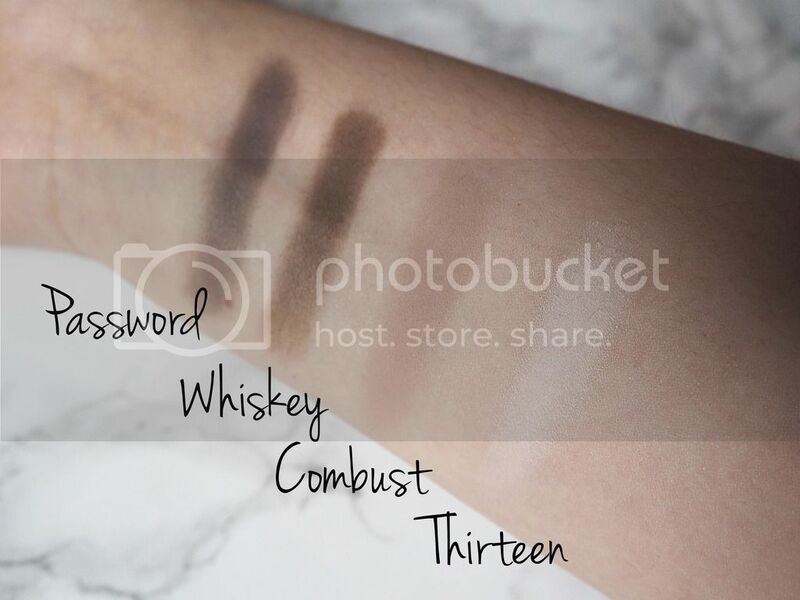 How many times have I said smoky eye in this post? Smolder is a stunning colour that I definitely need to make the most of. I just want to throw it all over my eyelids but unfortunately, I'd end up looking like a panda. As I mentioned earlier, I use Black Market in place of eyeliner. It's not as striking as using a pencil, but that's why I love it. It adds a bit of definition to your under eyes, fooling everyone into thinking you're a top make up artist with A+ blending skills. The mattes are probably the shadows I use the least but nevertheless, they're still highly pigmented and amazing to work with. Combust and Thirteen make lovely base colours and don't budge all day which is exactly what I expect from a matte eyeshadow. Although I struggle to use Password and Whiskey on my eyelids, similarly to Black Market, they make the most beautiful under eye colours, especially for blue eyes (wink). Blend them out from the outer corner and you'll be on your way to eye make up goals. Having already owned the Naked 1 palette, I had high hopes for the Smoky and I knew it'd be as fab as everyone says it is. All I can say is Naked palettes are definitely worth the money. Amazing quality and pigmented eyeshadows, and not forgetting they last bloody ages. They're a real winner. The Naked 3 is next on my list! 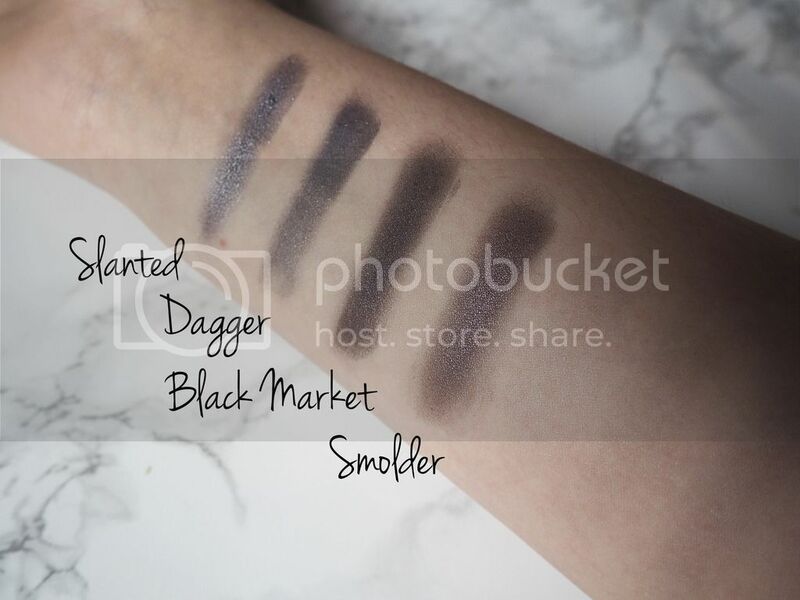 What are your thoughts on the Naked Smoky? Do you own any Naked palettes? I own all of them and initially used this the least as it's so much darker but I've found recently I've been unable to put it down! I'm still obsessed with the Naked 1 but I switch between them all the time, they're so fab! 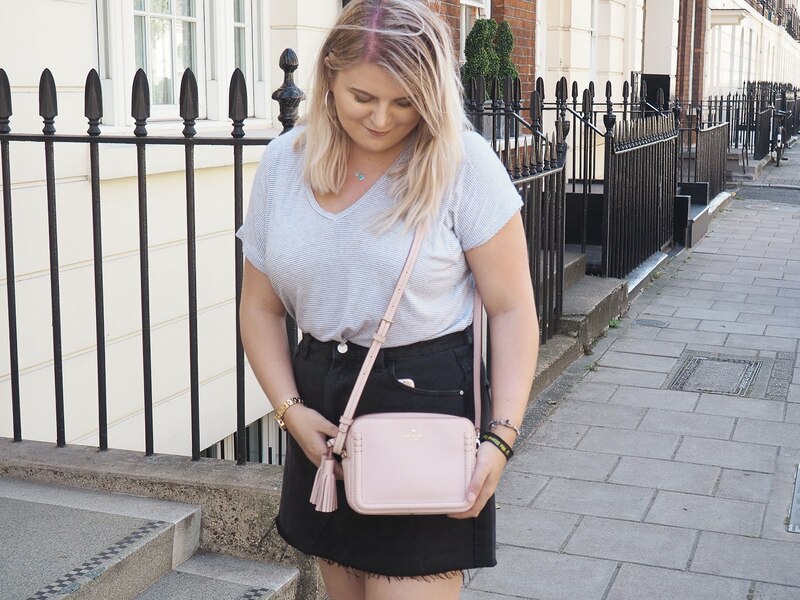 The Naked palettes are definitely some of the mor gorgeous things I've ever seen - to be honest I have never been much of an eyeshadow girlie so do not know if I can justify buying in heheh!! If I ever did - this none looks fab.. I like that it has a mixture of lights and darks!! I absolutely love the far left and far right hand shades, its just the centre few that I probably wouldn't use - but sounds like it's a worthy investment for the shade range and formula! I can't get enough of UD palettes right now! Great post Kat! I love the fact that you do get a mixture of finishes in this palette and that it's not purely one type.